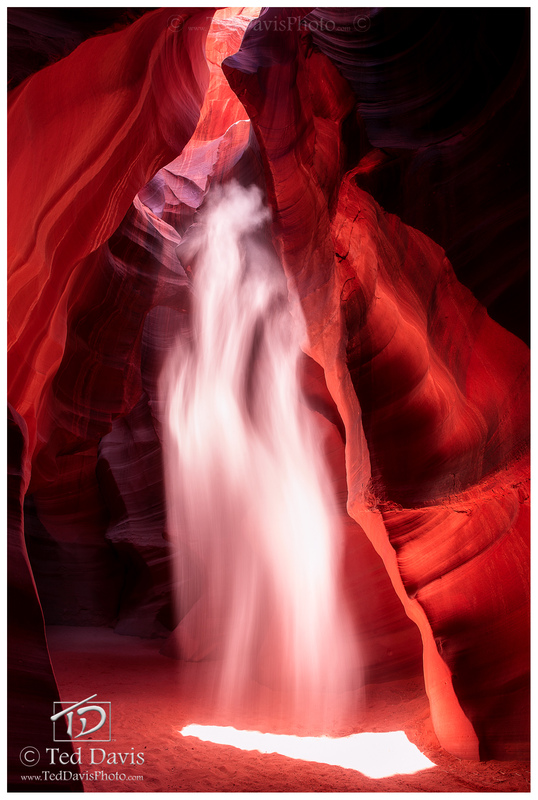 With sunbeams dancing through the canyon, it is nearly impossible not to stare in awe at the beauty of nature. As kicked up sands and dust swirl from light winds, the canyon beams take on new life – becoming images unrestrained except by our imagination. I’ll never forget clicking the shutter time after time as each light wind brought different images to life in front of my eyes. Reaching up towards the heavens, I saw this Dragon rising from the canyon floor and attempting to claw her way to the light above. It was a moment that will truly stay with me forever. Photo © copyright by Ted Davis.